The Brittle Star has long, slender arms and a distinct central disk. They are red in coloration with cream colored bands along the arms. Instead of spines, the arms are covered with scales for protection. They can grow up to 55cm from arm tip to arm tip. The Brittle Star lives along the outer edges of the reefs in the Caribbean Sea at depths of 12 - 25m. 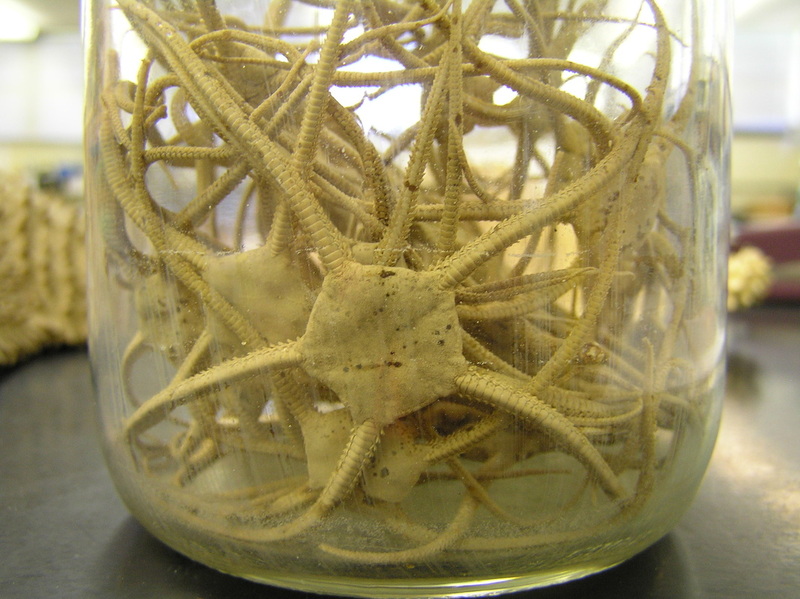 The Brittle Star is used in the marine aquarium trade. "Ruby brittle star". Marine Species Identification Portal. Retrieved from: http://species-identification.org/species.php?species_group=caribbean_diving_guide&id=394.